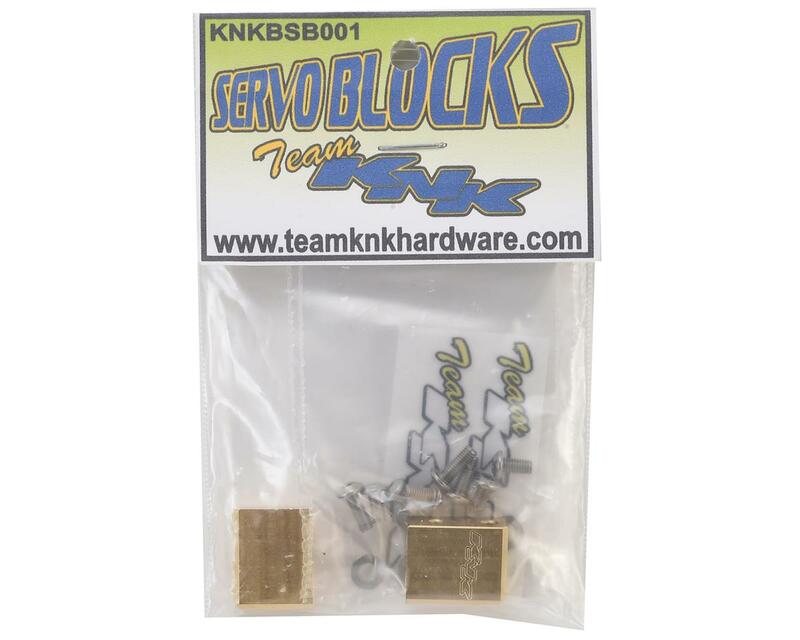 Team KNK Brass Servo Blocks give you another option to add a few grams of unsprung weight to your servo on axle rig. 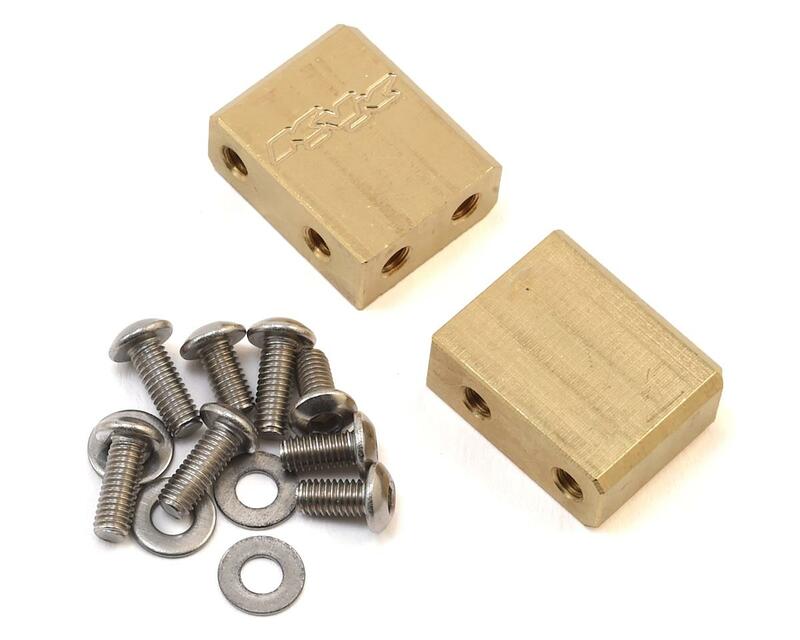 These servo mounts are machined from brass and weigh 36 grams for the pair. Package includes the hardware needed to install the blocks, as well as the hardware needed to mount the servo to the blocks.